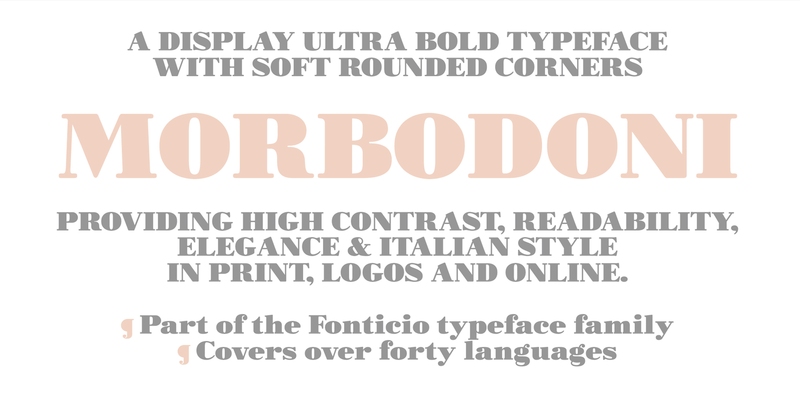 Morbodoni is a contemporary redesign of the ultrafat bodni typefaces. It features rounded corners and slightly fatter serifs that allow for lower contrast, better web rendering and a softer look. It's part of the Fonticio Typeface Family, designed to provide a serif typeface with display capabilities but good text rendering both offline and online.